Manipura is physically located at the navel and is the energy source responsible for our “sense of self”. The Solar Plexus Chakra is also responsible for the relationships we build with others. Manipura determines how we see and interact with the world around us, how we build connections with the people we engage with and is responsible for our beliefs about our place in the world. The word “Manipura” in Sanskrit means “lustrous gem of the city”. The reason for the name is because the body’s 3rd Major Chakra is linked to the natural world element of Fire. Manipura energy is associated with our self-esteem, our sense of purpose, and our internal viewpoints of personal identity. The Solar Plexus Chakra is responsible for the energy which forms your personal ability to love yourself. Manipura allows the development of attributes which enable self-honoring. It brings to us the self realization that we must give dedicated time and energy to us! We begin to truly understand that without acceptance of self love and a failure to recognize our own personal worth makes it impossible for us to give, or understand how to give, appropriate love to others. 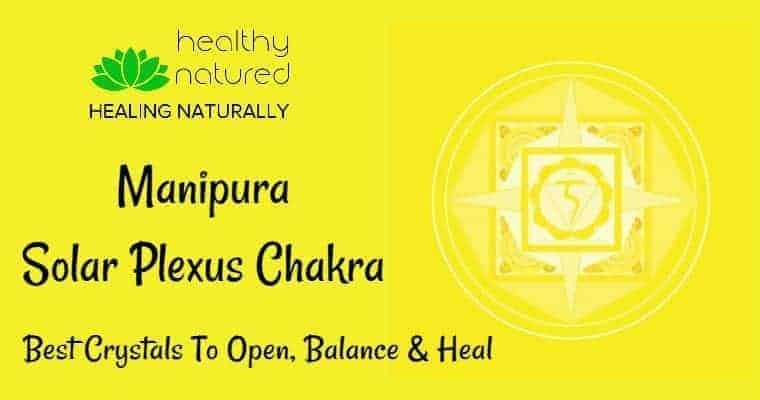 Manipura is the chakra that connects us with the energy to take action. The Solar Plexus controls and reinforces our worth, our self-esteem and the way we express our personal power. 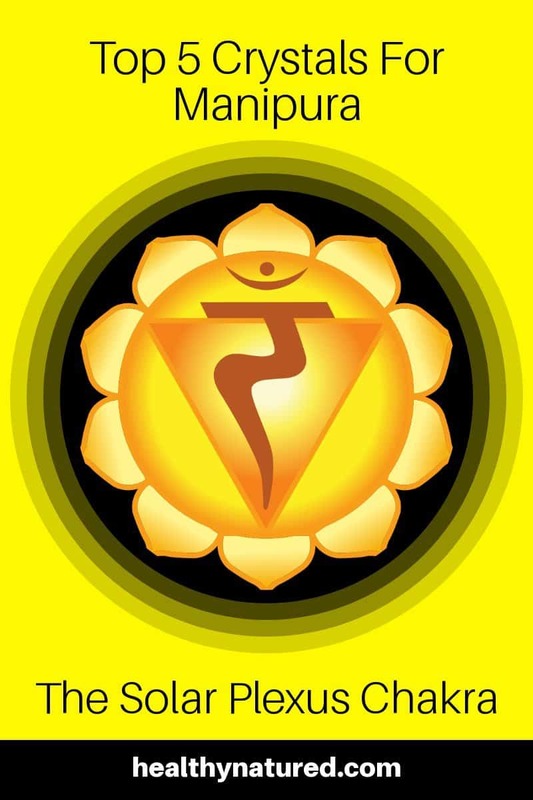 When Manipura the Solar Plexus Chakra is out of balance and alignment physical symptoms related to digestion can arise. 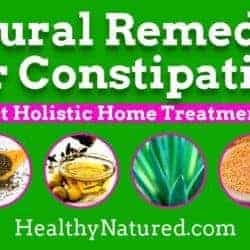 These issues can manifest in many ways which include our body’s ability to process nutrients properly leading to constipation, poor bowel health and even irritable bowel syndrome (IBS). Imbalance of our body’s 7 chakras (energy center) when associated with the Manipura chakra can also lead to physical illness such as the development of eating disorders, ulcers and diabetes. You may also develop health issues related to the pancreas, liver, and colon. When the Solar Plexus Chakra is out of balance and not aligned with the other centers we may struggle to accept or understand our own personal power. When we do not understand or accept personal power it can lead to issues when we need to express our individuality or explain our personal values and beliefs. Manipura allows us to develop positive self identification, however when not in balance we are never sure if we are expressing our own beliefs or that of others, leading to self expression difficulties and low self worth. Imbalance within Manipura the Solar Plexus Chakra often manifests outwardly as one of two behavior mentalities. Imbalance within Manipura means we do not take personal positive action. We place, consciously or not, the needs and desires of others ahead of our own regardless of the personal impact upon our lives. When we achieve balance and alignment within Manipura we become empowered. We are comfortable within and accept our own inherent power. We understand and accept that it is healthy and needed to first develop a sense of self and self love before we offer love to others around us. With a balanced Solar Plexus Chakra we truly understand and have full sense of who we are and why we are here. We are able to form a deep understanding of how to live our life as a true reflection of self while also contributing to society in a beneficial way. Most importantly when we balance Manipura we do not allow others to define who we are and we are not dependent on others for finding our purpose and personal happiness. 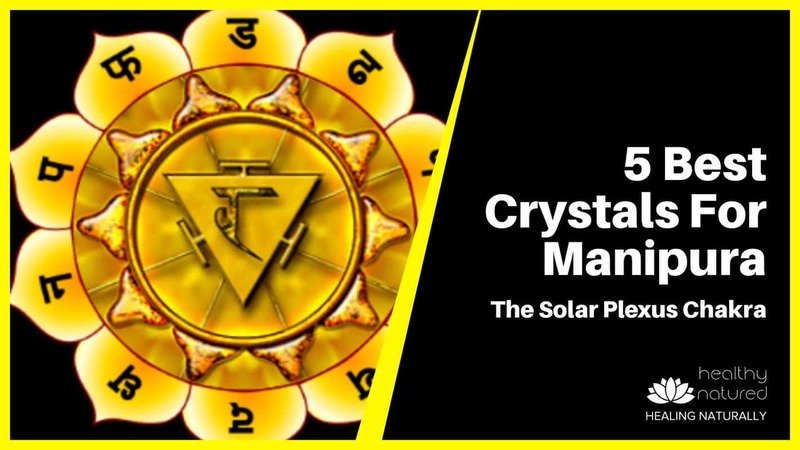 The 5 Best Crystal Types For Aligning & Healing Manipura The Solar Plexus Chakra. Lemon Quartz is a stone associated with personal empowerment and optimism which can be used to cleanse, activate and balance Manipura. 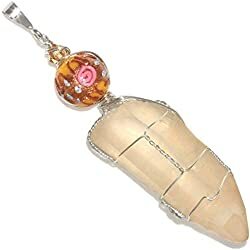 It is a great crystal to use when working on self worth and love of self because it enables us to clear and remove negative thinking, thought patterns and mental energy blocks associated with emotions relating to self. Lemon Quartz clears the aura and removes energies of self doubt which enables us to develop personal confidence, a sense of joy and inner peace. helps with diabetes and can even reduce nicotine withdrawal symptoms. Lemon Quartz can also be used to increase metabolism which provides us with additional energy and a physical boost. This can also assist and speed recovery after illness, injury or surgery. 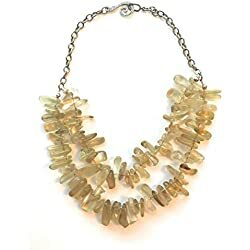 Yellow Jasper is a combination of Chalcedony and Quartz, forming a type of silica with a beautifully smooth surface and an opaque transparency. The yellow coloration found in this crystal can vary dramatically. Ranging from pale canary yellow all the way up to rich deep mustard – deeper shades of the yellow coloration indicate a higher iron content in the stone. Bumblebee Jasper is a silicon dioxide mineral which contains sulfur, hematite, ilmenite and other minerals. It is characterized by the coloration patterns of vivid yellows, bright oranges with black stripes and bands of white-grey. Both of the Jasper types are known as stones of protection! 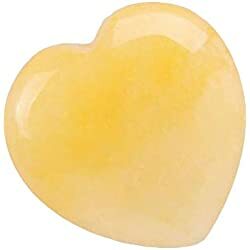 The Yellow Jasper is used to activate and balance the solar plexus chakra, and to develop self confidence. 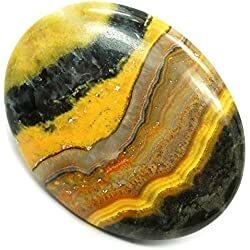 It is also an excellent crystal for times when we need a boost of enthusiasm because the yellow jasper attracts and channels positive energy. Yellow Jasper aides us to open and stimulate Manipura and enables us to develop a love of life, to build a positive outlook and have confidence in our choices and personal actions. 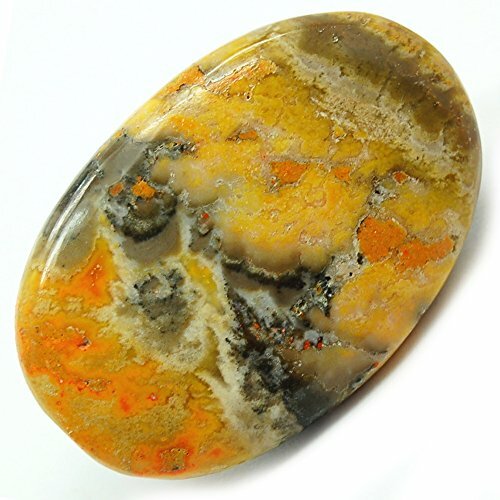 Bumble Bee Jasper is remarkable because it enables us to clear and remove energy blocks within the solar plexus chakra. This brings forth our personal creative talents and supports us to develop perseverance. 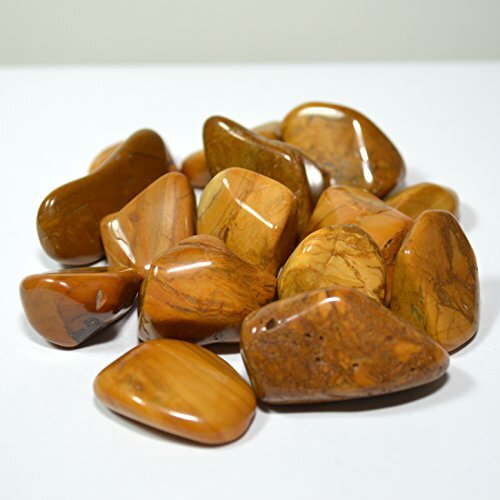 Bumble Bee Jasper helps us to manifest the energies needed for our highest and best good. The vibration of Bumble Bee Jasper stimulates our mental body which enhances our mental clarity, brings greater personal awareness and increases levels of concentration. 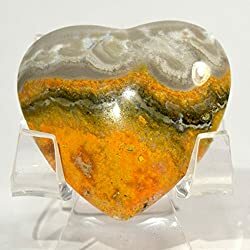 Both Yellow and Bumblebee Jasper enable us to develop the trust and confidence required to act when we receive “inner prompts” or intuitive signals. Physically both types of Jasper help to clear the body of any environmental toxins and impurities. This helps us to build a stable and strong immune system. Both Bumblebee and Yellow Jasper help with physical illness and issues linked with the physical location of the Solar Plexus chakra. They aide in digestion, problems associated with the stomach and assist us develop proper functioning of the gall bladder, pancreas, liver, spleen and kidneys. Golden Heliodor is a variety of Beryl and ranges from a bright pure yellow to golden honey yellow colors. Confusingly it is the Golden Heliodor (above) which is truly yellow. 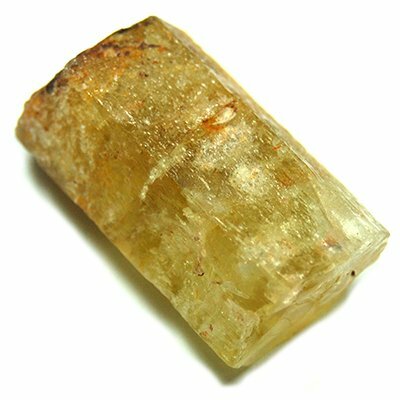 Yellow Heliodor actually refers to a group of crystals. 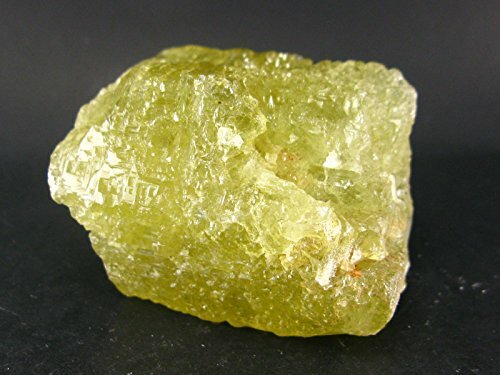 This group is formed of any of the Beryl crystals which are yellow-green, light green and yellow-brown in color. 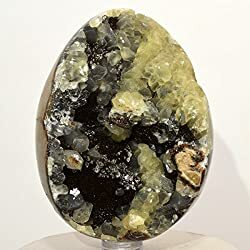 All Yellow Heliodor crystals and the Golden are known as hope stones, due to their abilities to ease irritability, soothe the nervous system while providing relief from emotional burdens and pressures. 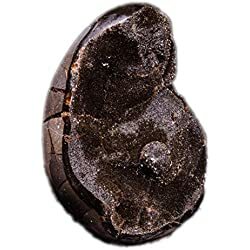 Heliodor for centuries was, and still is, used as a talisman for bringing out honesty in others and enabling us to determine any dishonest intention. Both of the Heliodor Beryls are excellent for attracting positive energies associated with finances and employment. They also enable us to gain a healthy work life balance. 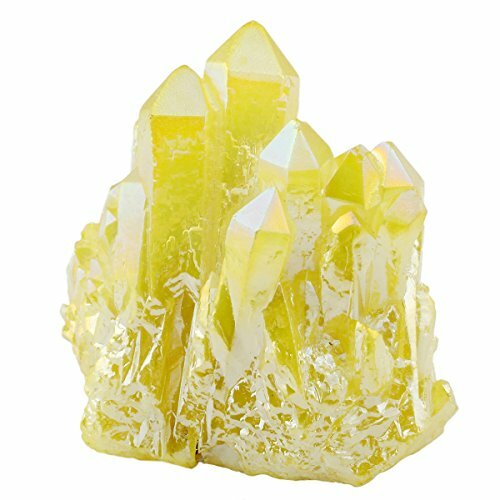 Heliodor also helps us to balance our intuitive and conscious self. This enables us to live in the physical world and also be open and act upon intuitive signs. 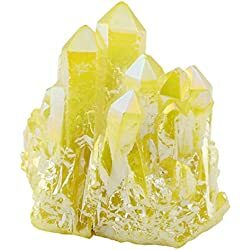 Because Heliodor stimulates both our Crown and Solar Plexus Chakras we enable the connection of wisdom and spirituality with the physical. Both Golden and Yellow Heliodor crystals are perfect for balancing and aligning the Solar Plexus Chakra energies of self belief, love of life, and optimism. They also enable us to act with sympathy and compassion. Heliodor activates positive energies that give us our sense of hopefulness and allows us to be excited about possibilities. 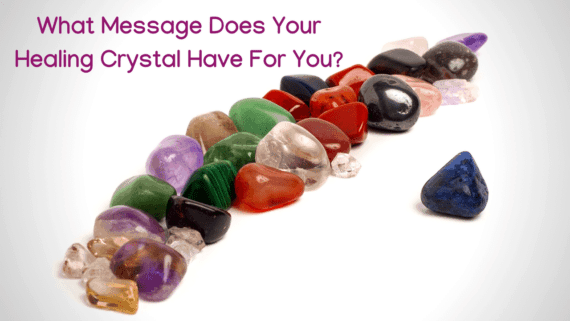 They are crystals of empowerment and optimism. Heliodor assists us to identify blocks and make positive change in our life. It also helps us identify what change or action is required if we are to accomplish our dreams and goals. 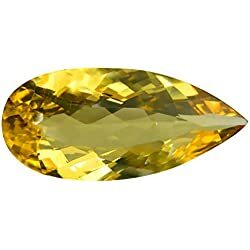 Golden and Yellow Heliodor are the supreme “confidence and well-being crystals” and being affectionately referred to as the “sunshine stone”. 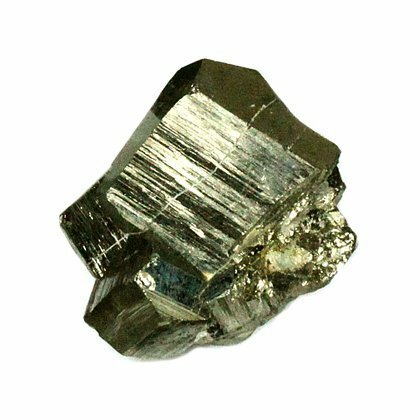 Pyrite is known as the crystal associated with personal luck and helps us attract energies of abundance, wealth and prosperity. It is linked to the Solar Plexus Chakra energies enabling manifestation of our personal creativity and encouraging us to follow our dreams. Pyrite is an excellent stone of protection as it shields us from harmful thought and negative energies. It not only shields us from the negative energies of others, it also helps us to become aware of and release our own negative patterns of behavior which inhibit our progress. 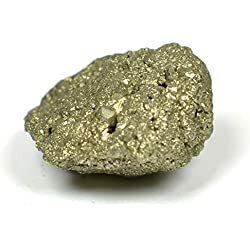 Pyrite helps us build personal willpower and emotional strength during challenging times and supports us to take actions which are necessary for our personal growth and success. 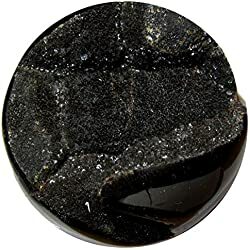 This crystal is a must have for Manipura because Pyrite initially clears the Solar Plexus Chakra of all blocks and negativity, then balances and aligns the energies enabling us to boost our personal power. Septarian is an amazing mix of crystal and rock forms. Both of these create the extraordinary healing properties and energies of the Septarian for cleansing the solar plexus chakra. 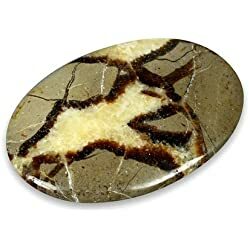 The crystalline structure of Septarian enables us to be positive in our thoughts and actions and gives us strength to stick with positive choices and follow our ideas. 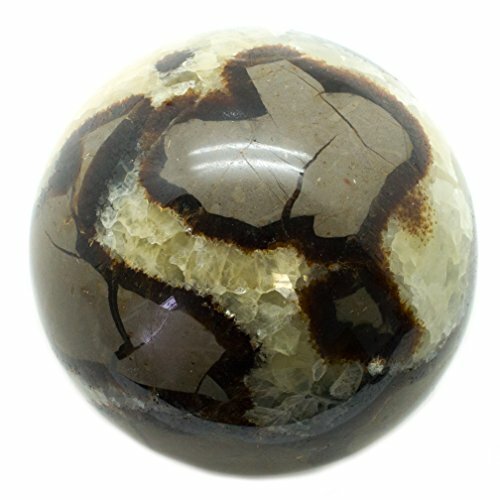 The rock structure of Septarian enables our thinking to be grounded and aides in our manifesting of ideas and dreams by embedding them into the third dimension. Septarian is another crystal which provides a protective shield for our mental, physical and emotional bodies. It has a wonderful uplifting energy and instills in us the feelings of positivity, gratitude and joy. This makes the Septarian a great stone for enhancing our personal communication and ensures that we express our emotions with confidence. 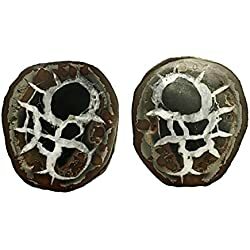 Septarian promotes our self-esteem, confidence and lifts our mood. We develop a positive spirit and have enhanced motivation. 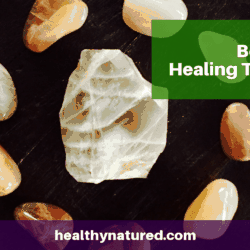 I hope that this post has been of benefit and you enjoyed learning about Manipura the Solar Plexus Chakra and the crystals which help open, balance and heal this vital energy center. 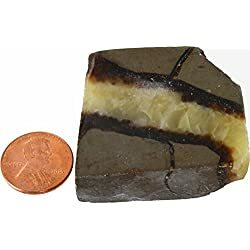 Bumble Bee Jasper Cabochon (1-1/2" -2")" Free Form - 1pc. Heliodor (Green/Yellow Beryl) Rods A (Brazil) (1" - 1-1/4") - 1pc. 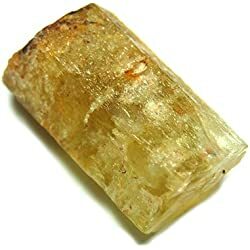 Heliodor (Green/Yellow Beryl) Rods A (Brazil) (3/4" - 1") - 1pc. Heliodor (Green/Yellow Beryl) Rods A (Brazil) (1/2" - 3/4") - 1pc. Heliodor (Green/Yellow Beryl) Rods"A" (Brazil) (1-1/4" - 1-1/2") - 1pc. 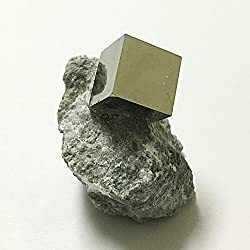 Natural Pyrite Cube in Matrix - Beautiful Mineral Specimen! 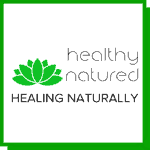 Dedicated to providing the latest and best information about Natural Health, Holistic Living, Alternative Therapies and Remedies plus Personal Spiritual Development. Become a member and join hundreds of others dedicated to the promotion, learning and sharing of the very best in holistic living and healthy lifestyles. 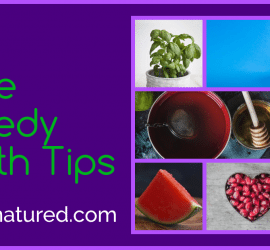 Subscribe to the Healthy Natured Membership and receive the latest news, remedies and recipes before anyone else. We respect your privacy and take protecting it seriously. No SPAM Ever!